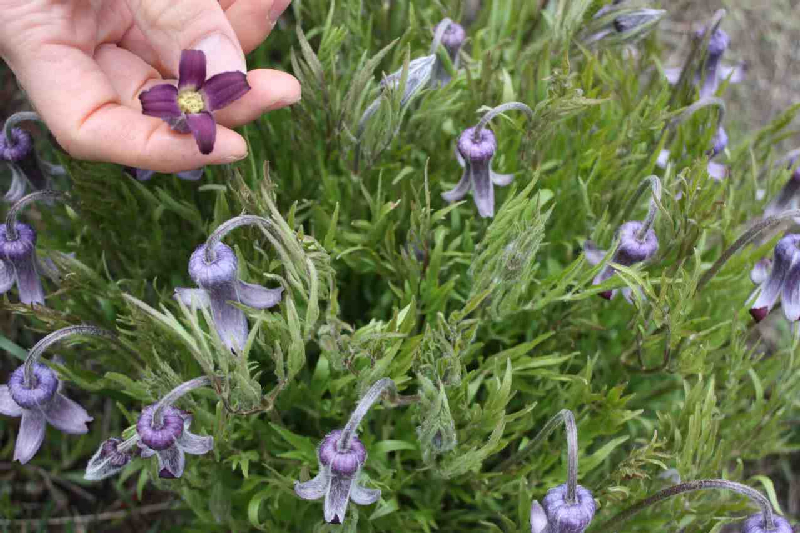 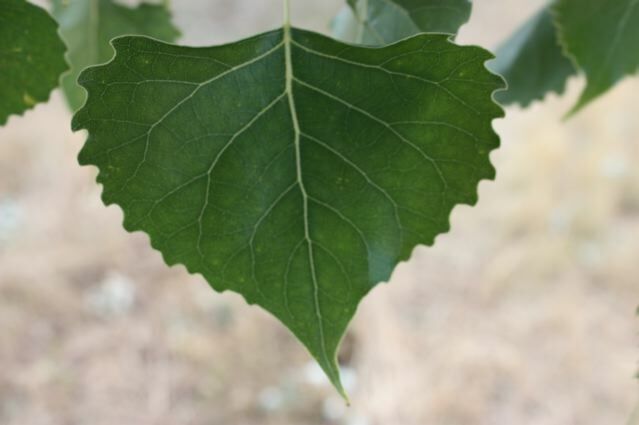 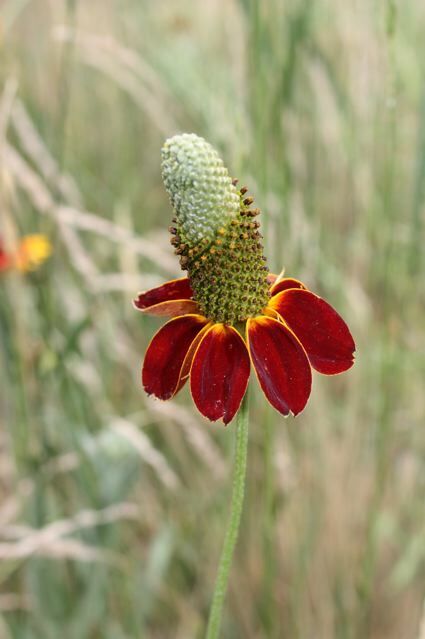 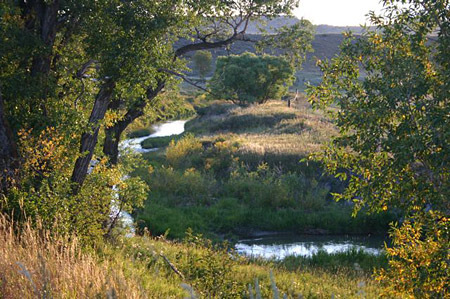 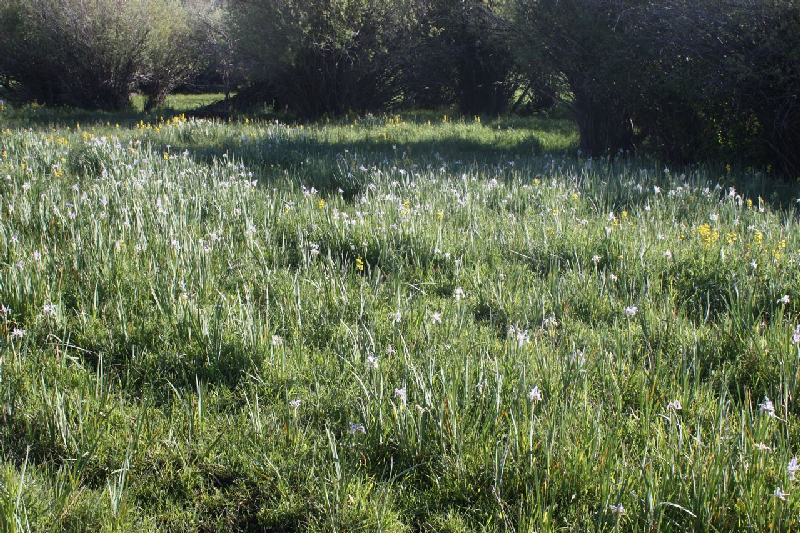 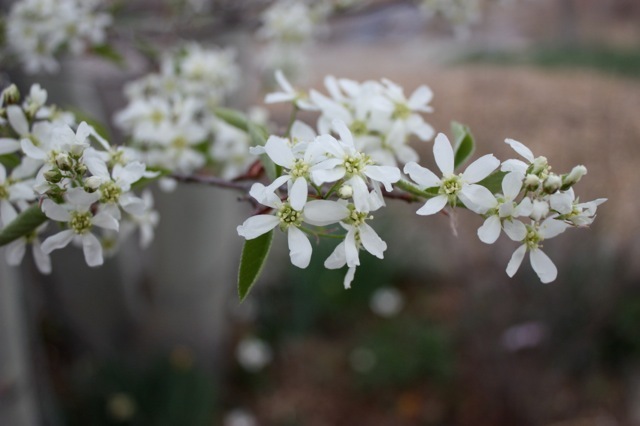 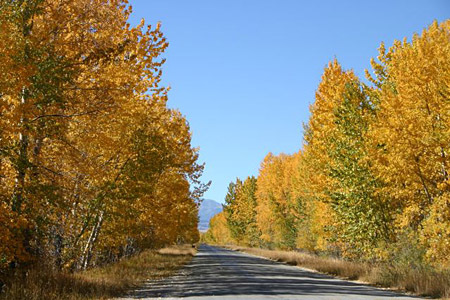 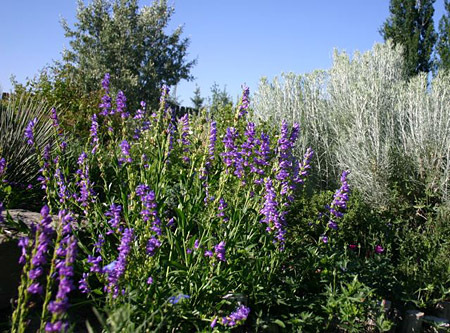 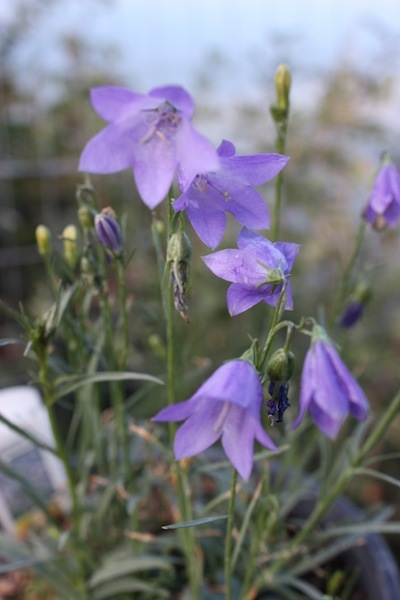 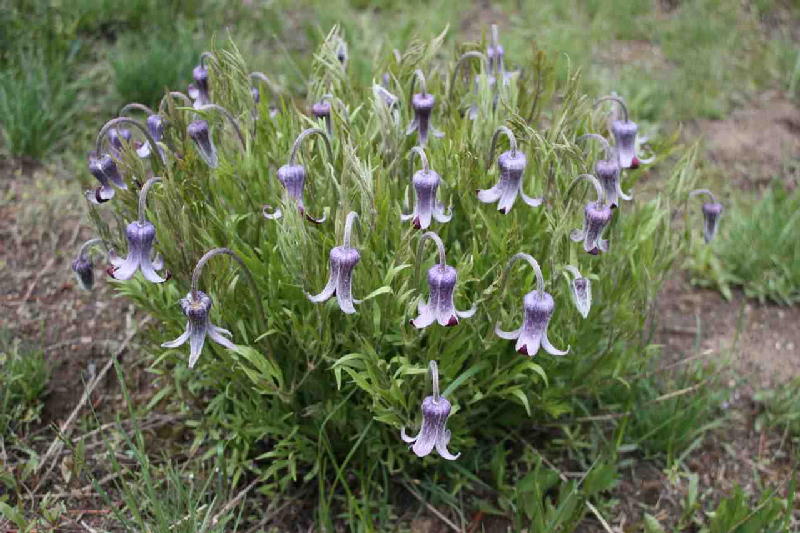 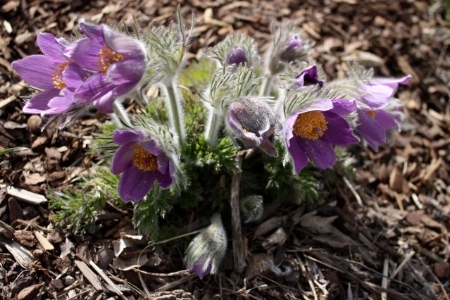 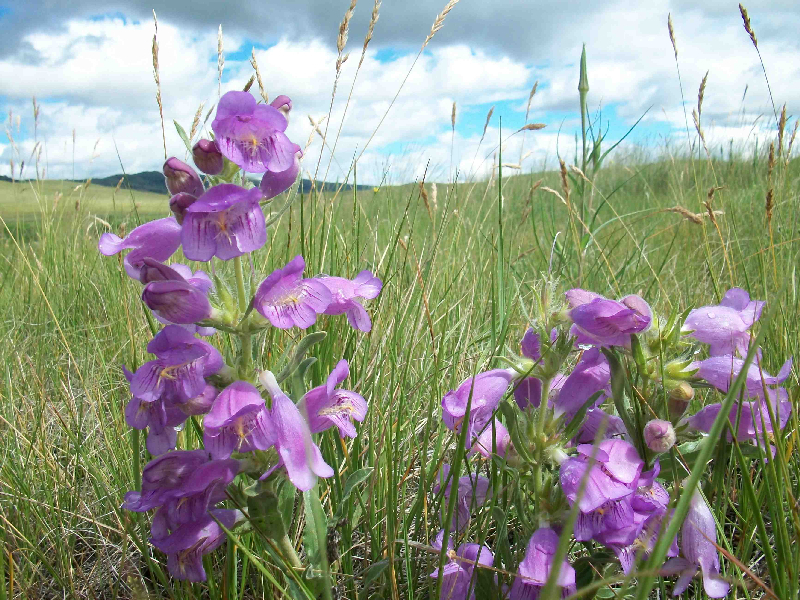 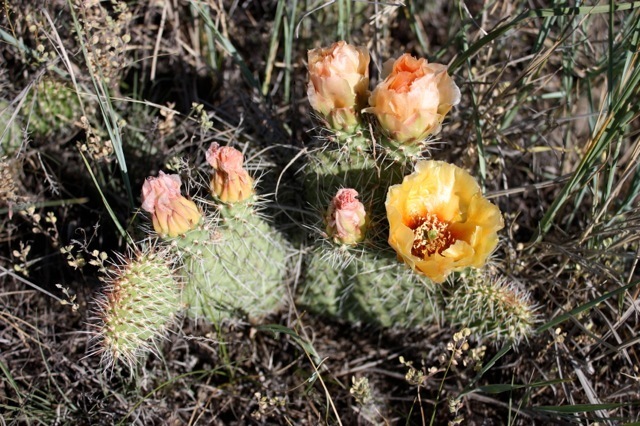 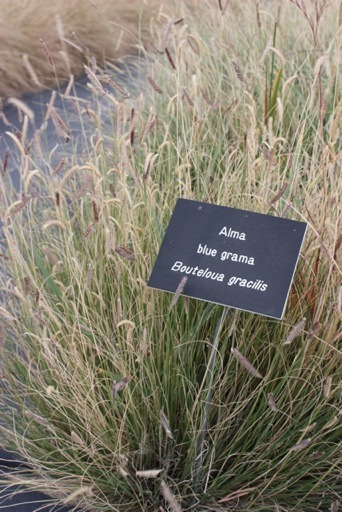 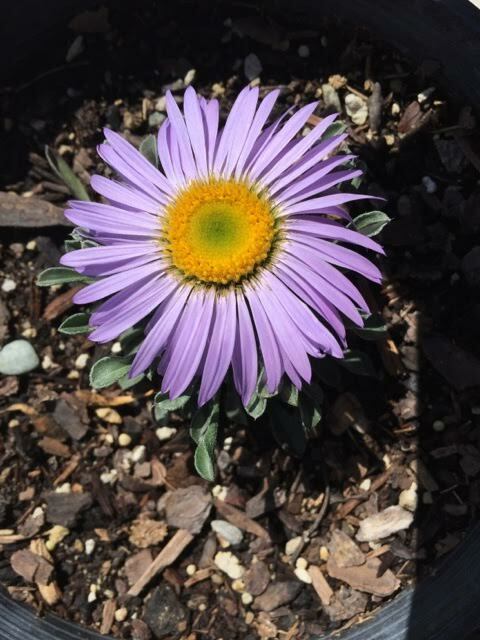 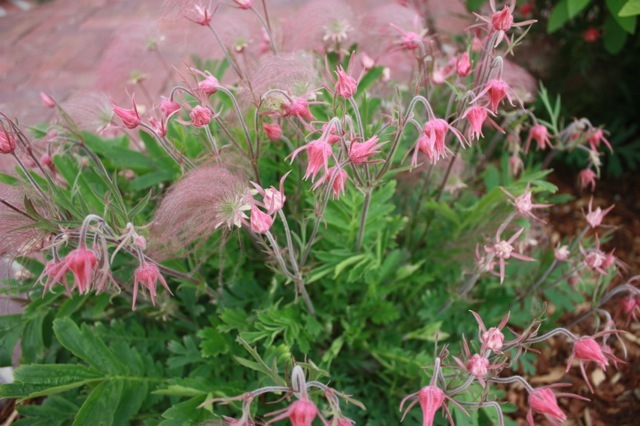 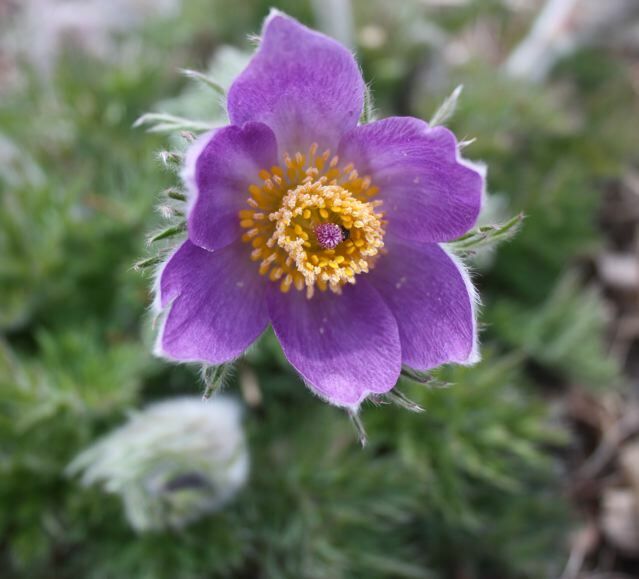 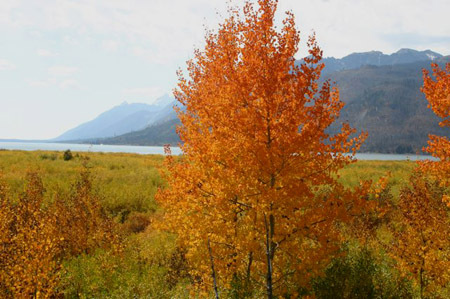 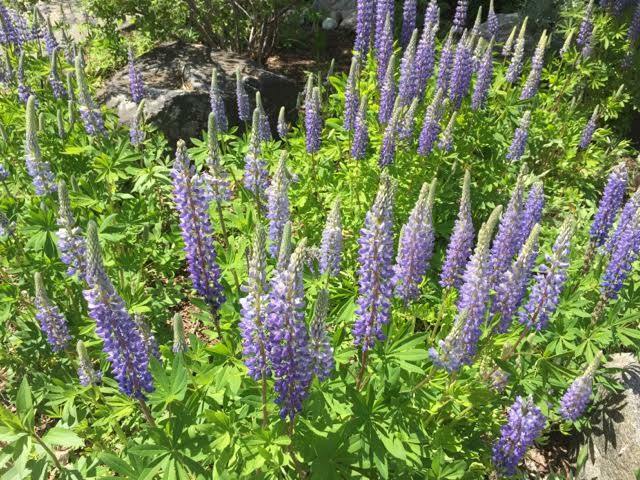 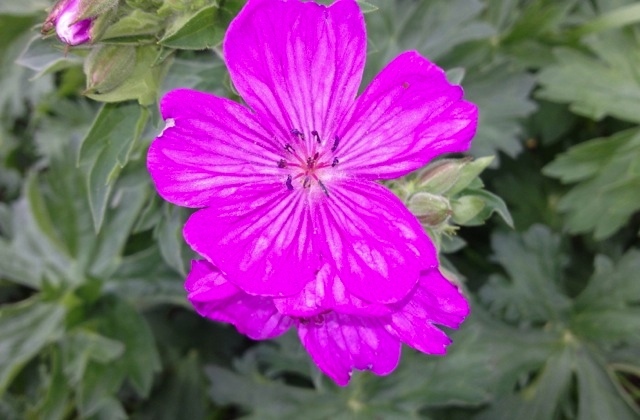 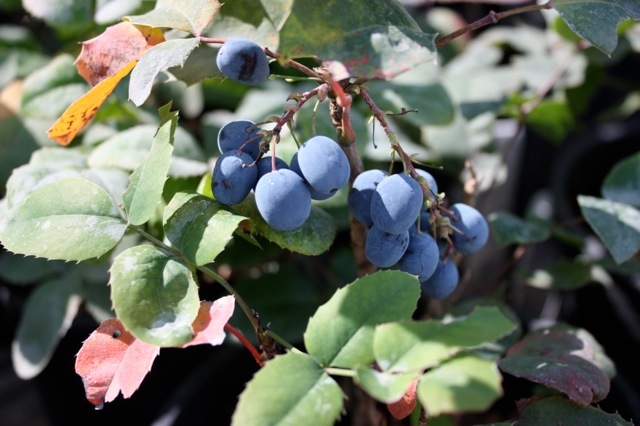 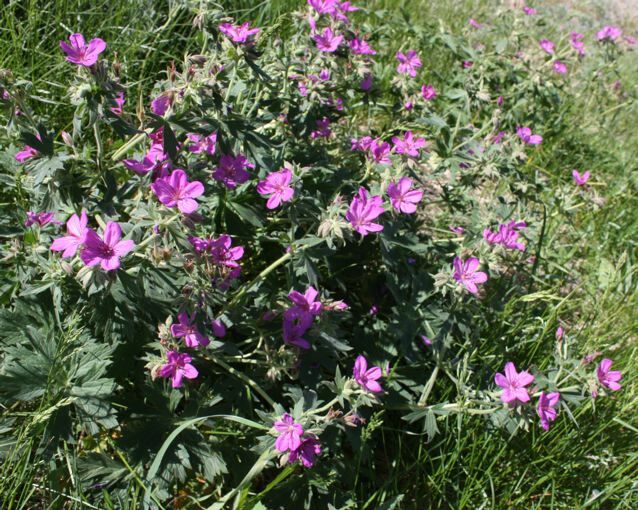 Blake Nursery has had a long standing love affair with Montana native plants, and the more we see and learn about them, the more intense our devotion. 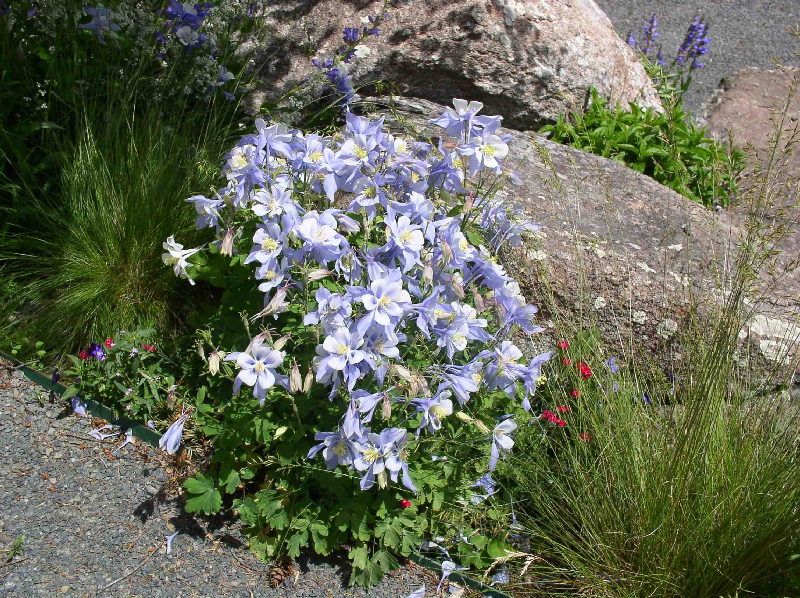 Some of the best aspects of landscaping with natives include their drought tolerance (though not always), adaptability to temperature fluctuations, acceptance of native soil conditions, and attraction to wildlife such as butterflies and song birds. 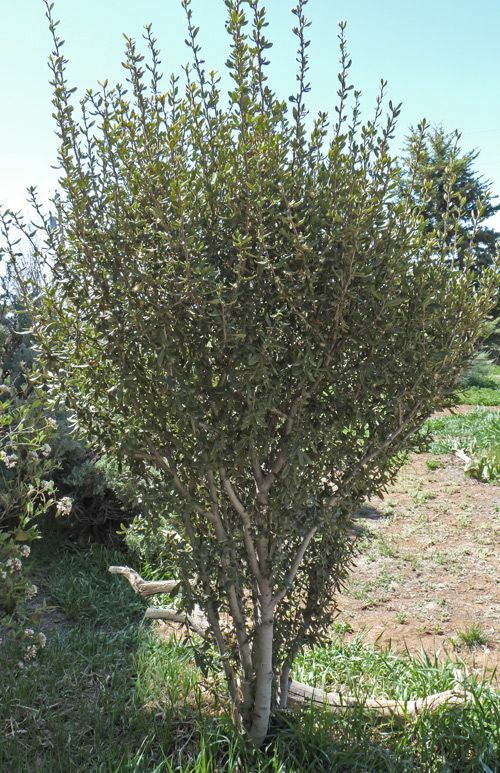 With naturals like these, you'll have fewer headaches than when dealing with unacclimatized imports. 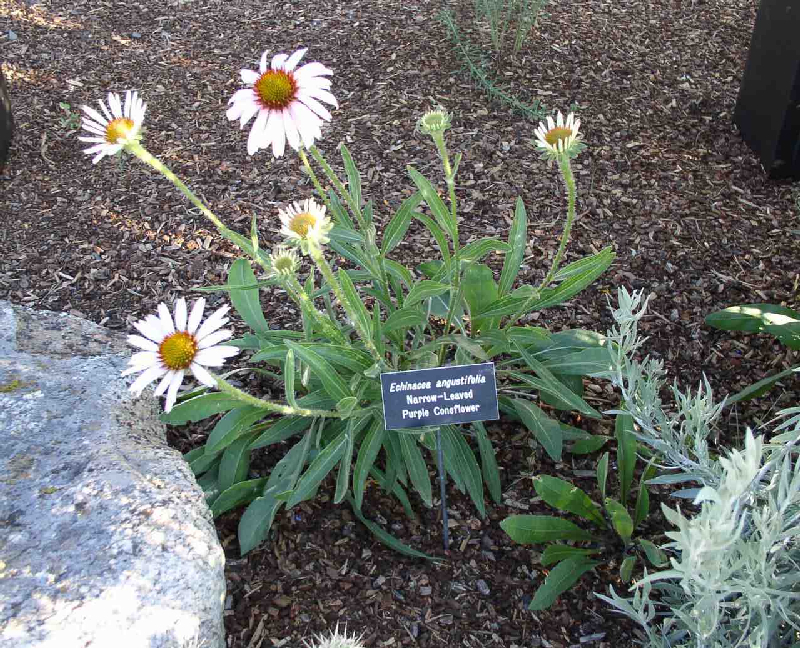 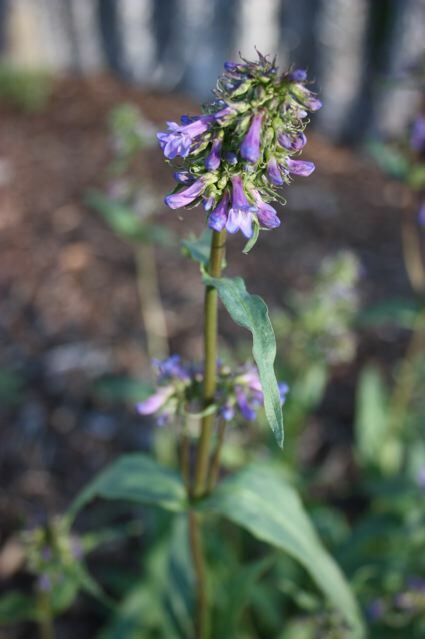 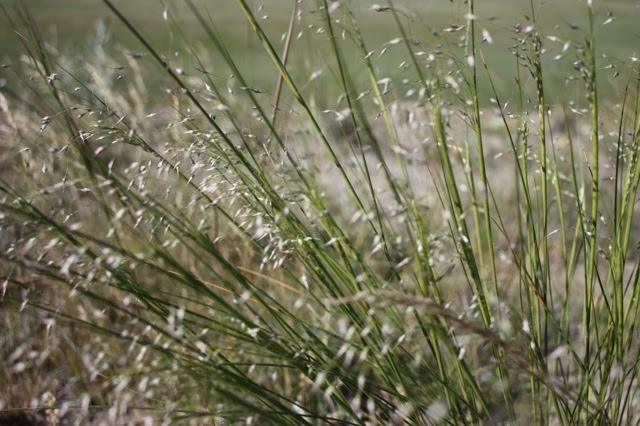 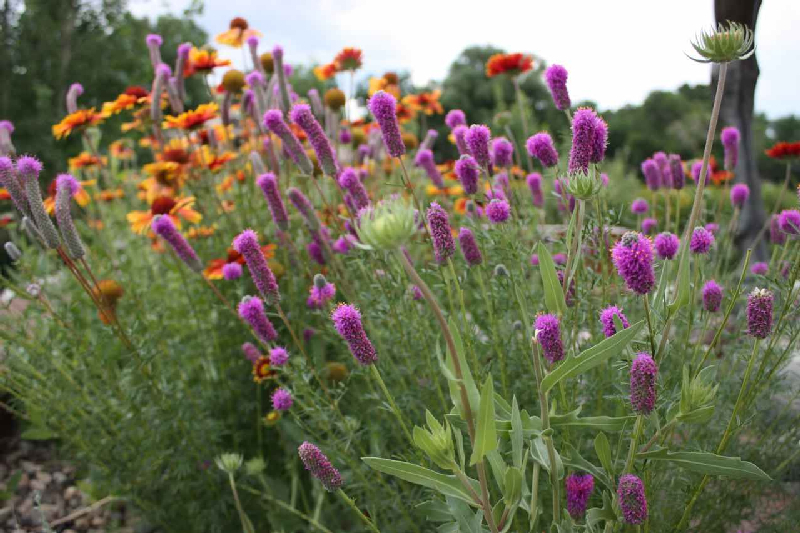 Landscaping with native plants connects you with your local environment as you learn the plant names, discover their habitats and the wildlife that depend on them. 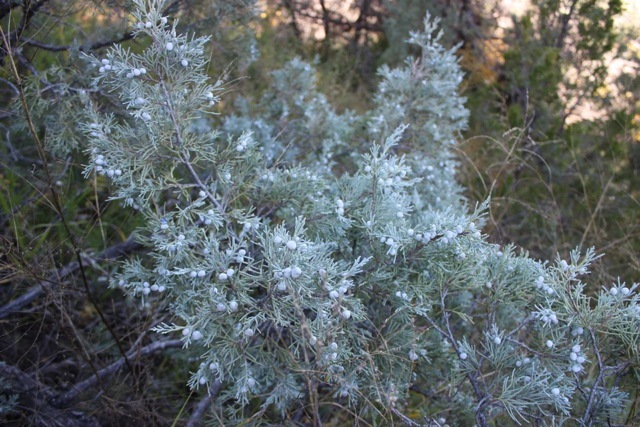 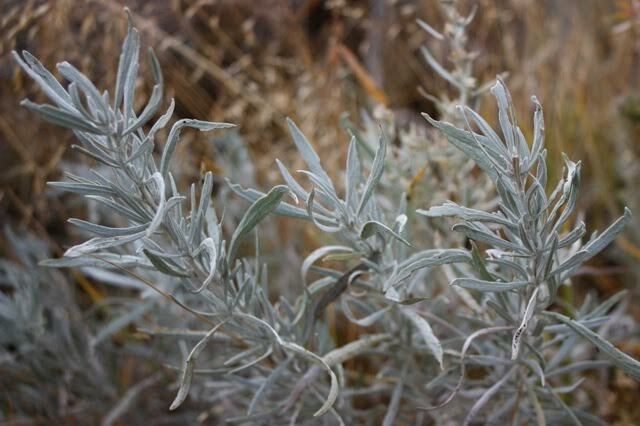 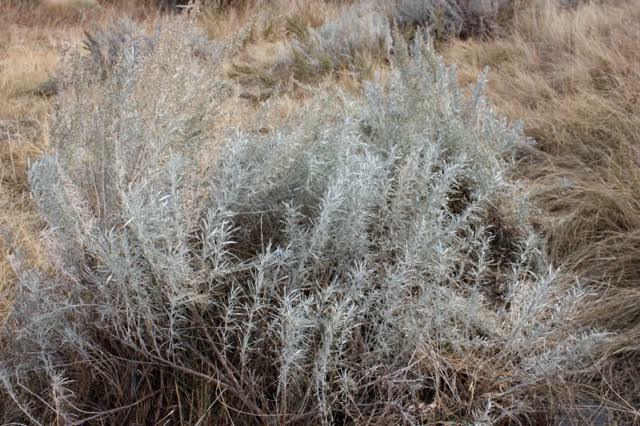 Rabbitbrush, Chrysothamnus nauseosus: A tough, silver leafed 3-4' shrub often mistaken for Sagebrush--until fall when it bursts into abundant bloom! 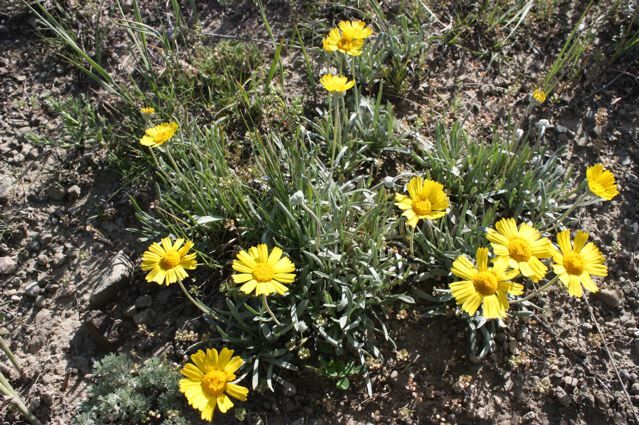 Suddenly its zesty yellow flowers brighten the prairie. 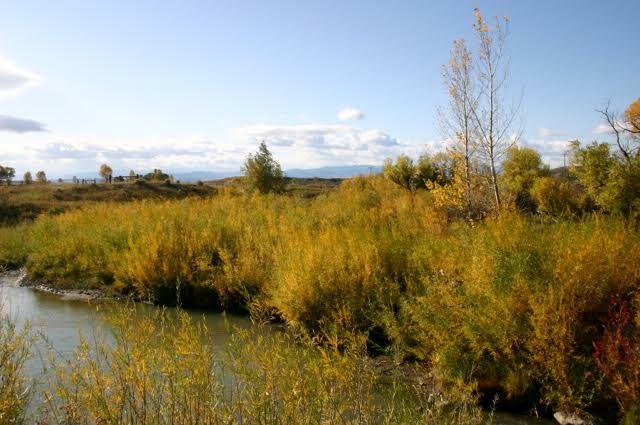 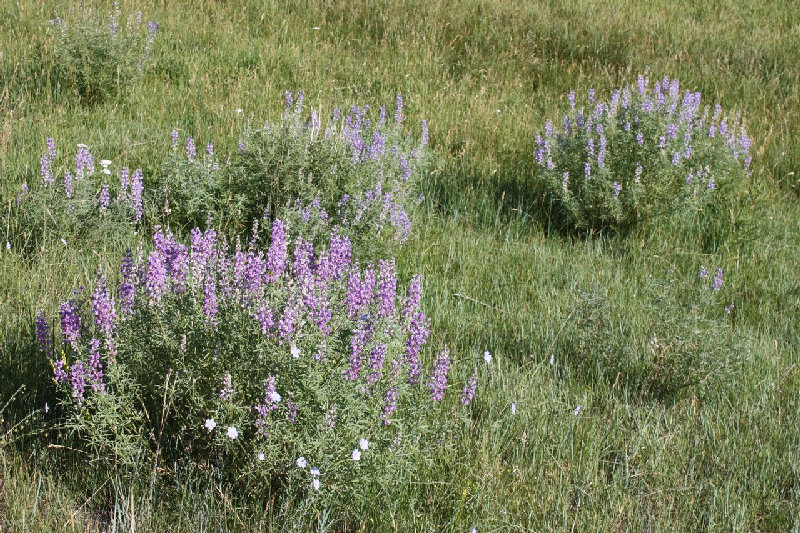 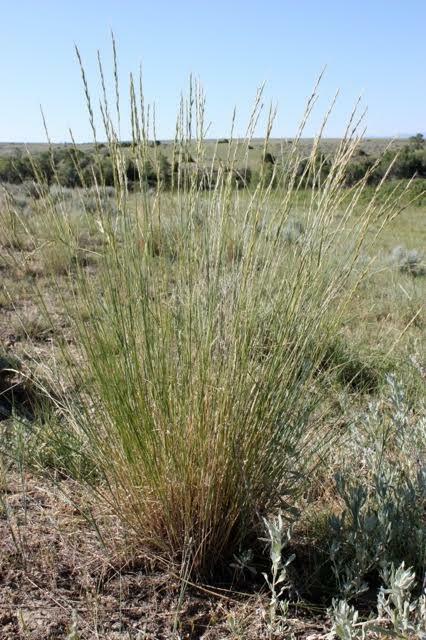 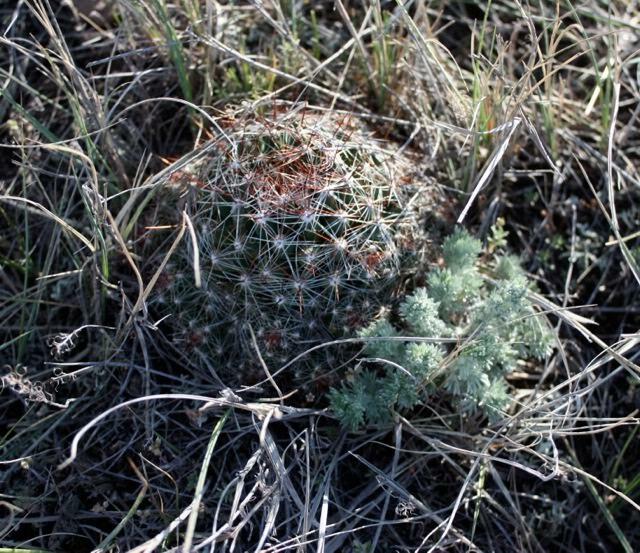 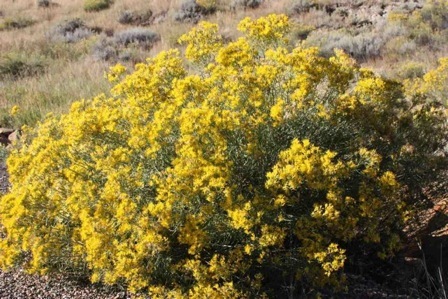 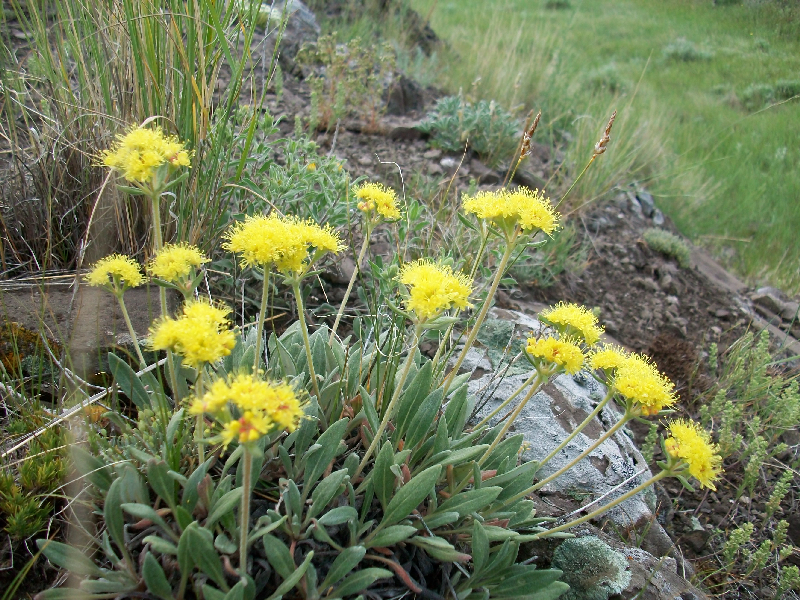 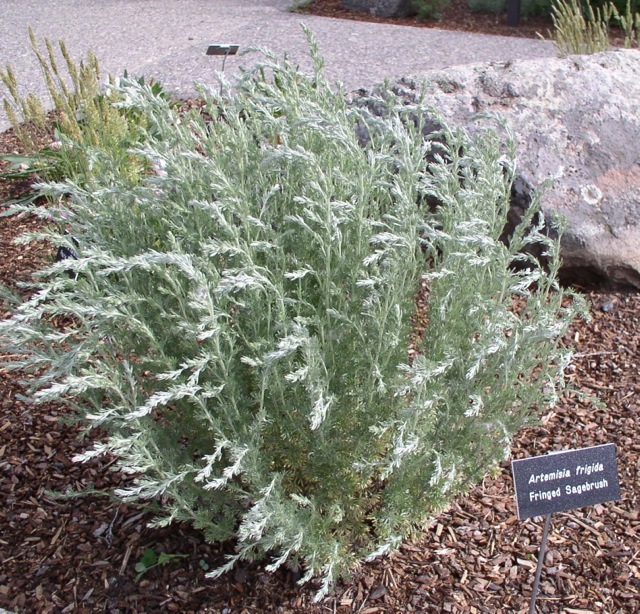 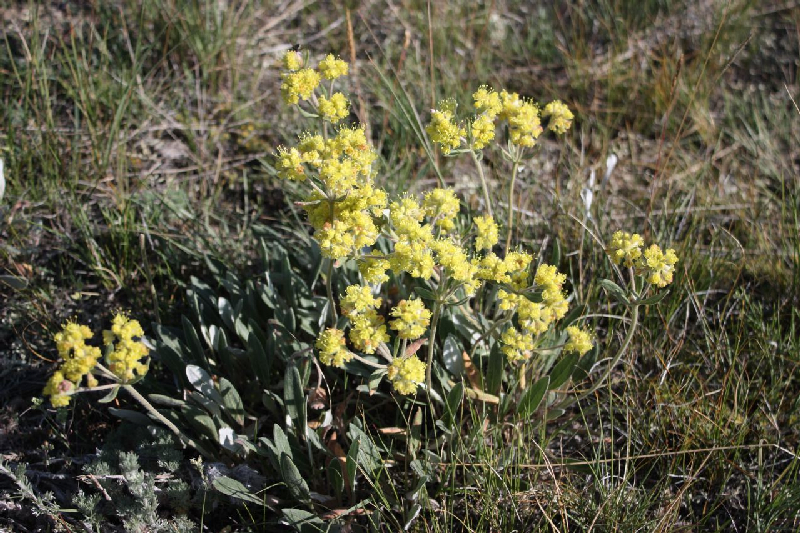 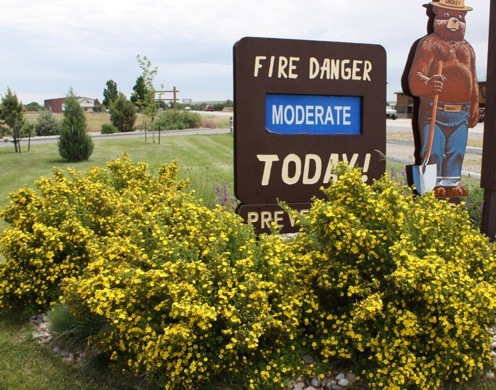 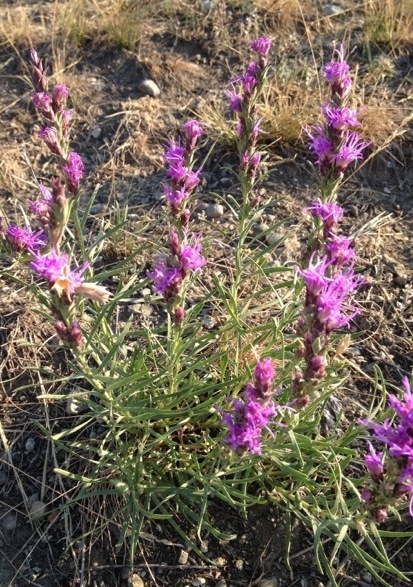 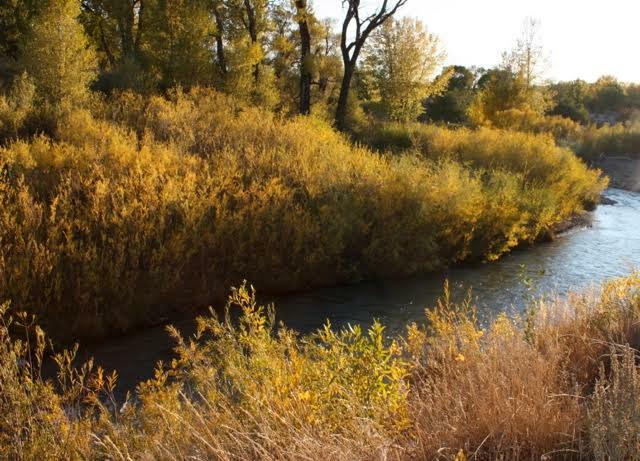 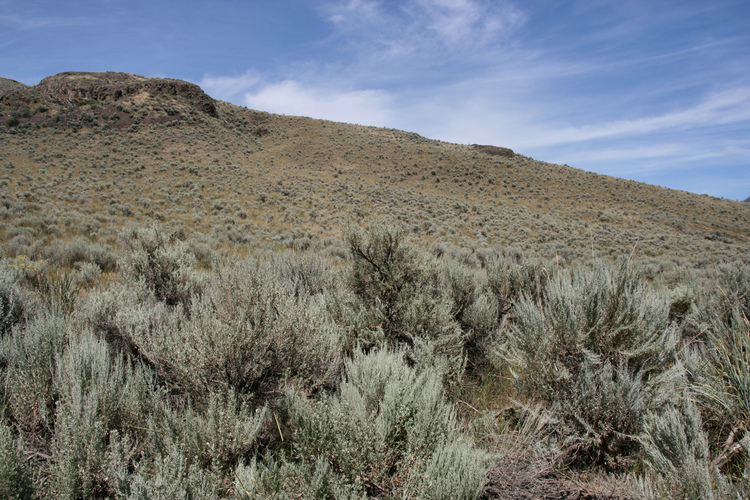 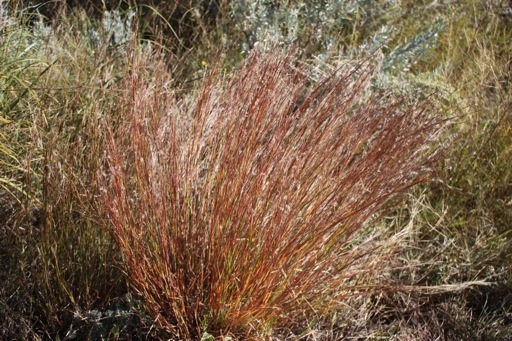 Rabbitbrush is drought and alkalinity tolerant, thus is well suited to much of Montana. 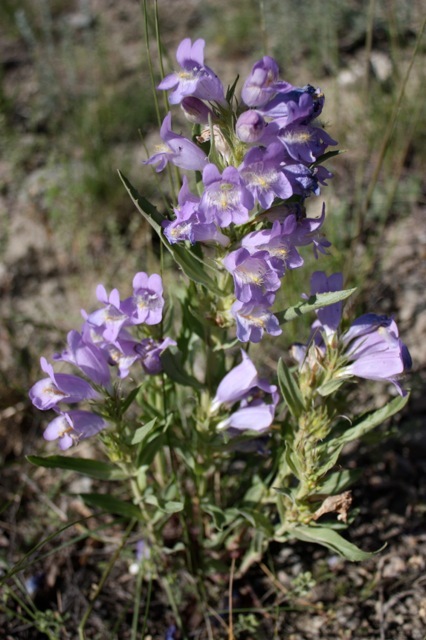 Gumbo Lily, Oenothera cespitosa: Also known as Gumbo Evening Primrose, it was collected “near the falls of the Missouri” by Meriwether Lewis, July 17, 1806. 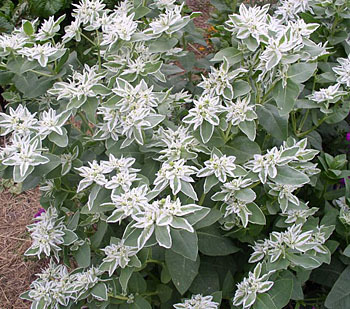 A low-growing, long-blooming perennial with startlingly beautiful, large white flowers that open in early evening and wilt the following day. 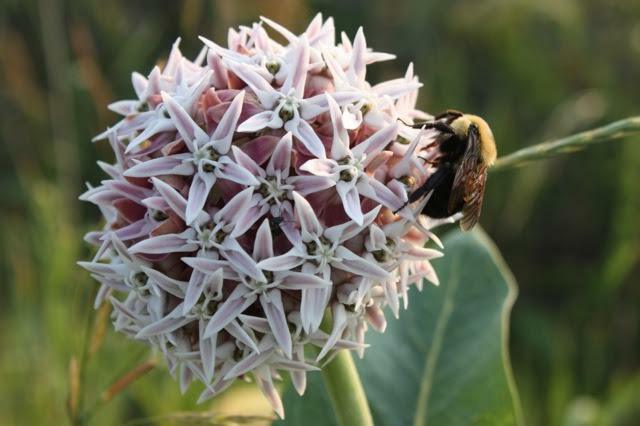 Their sweet scent attracts the pollinating Hawk Moth. 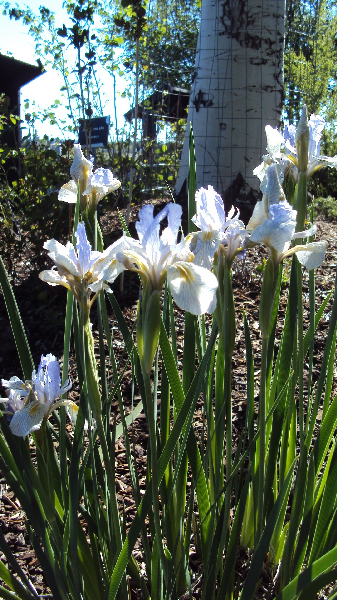 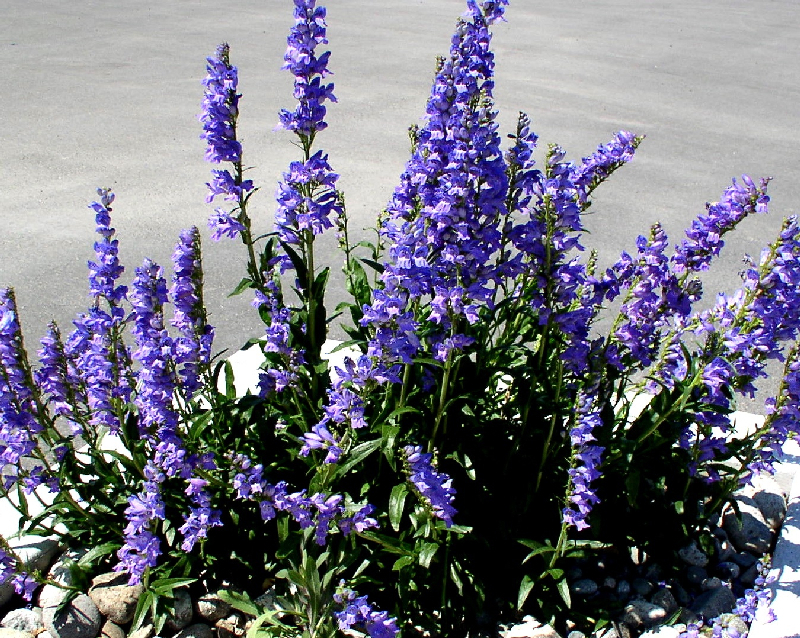 If you give them plenty of sun and do not overwater, they will deliver many weeks of enjoyment every year. 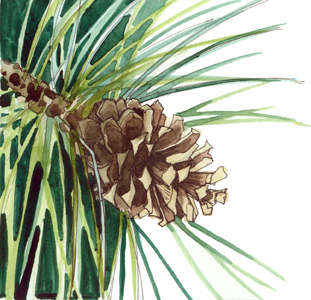 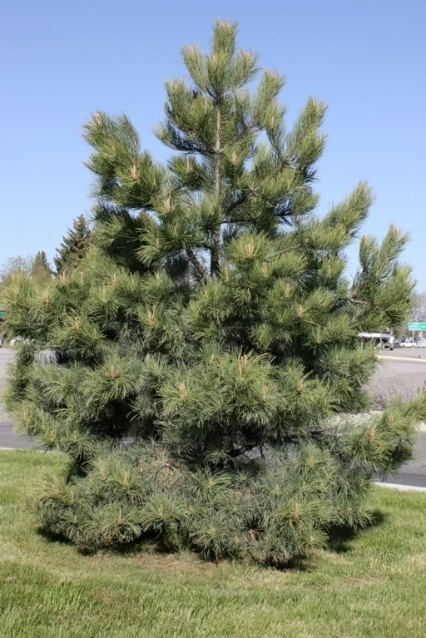 Ponderosa Pine, Pinus ponderosa: Montana’s state tree for good reason. 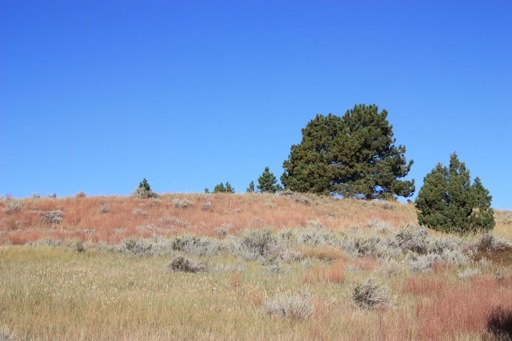 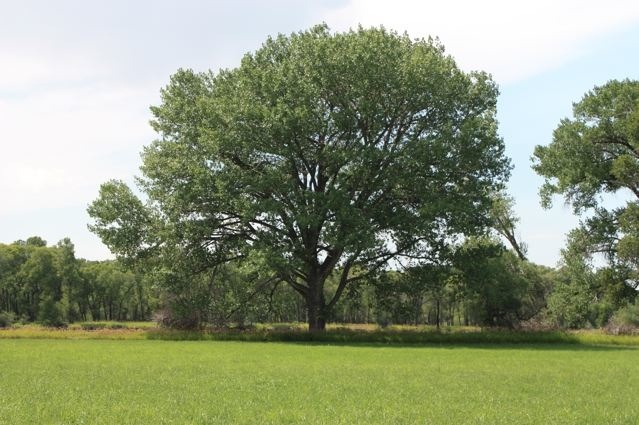 Longlived — 350 to 500 years, this rugged evergreen with a straight trunk grows in difficult sites where most other plants would never venture. 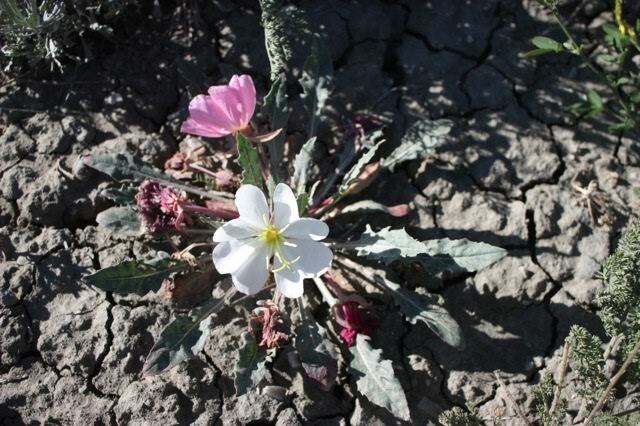 In fact its taproot can delve 30' into the ground seeking water. 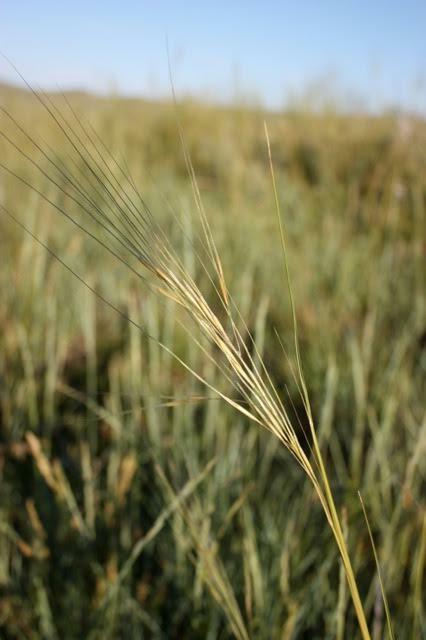 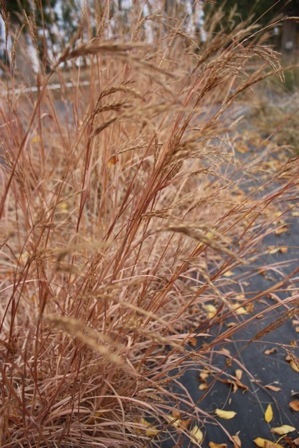 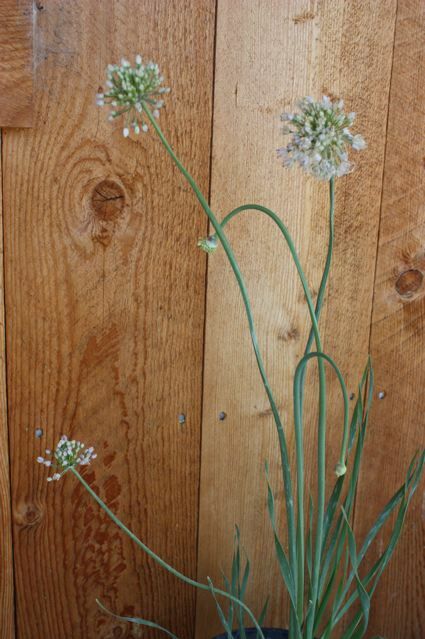 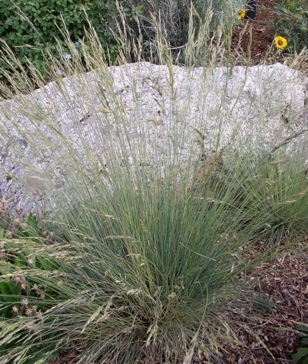 Its green needles, 5-10" long, are usually in bundles of three. 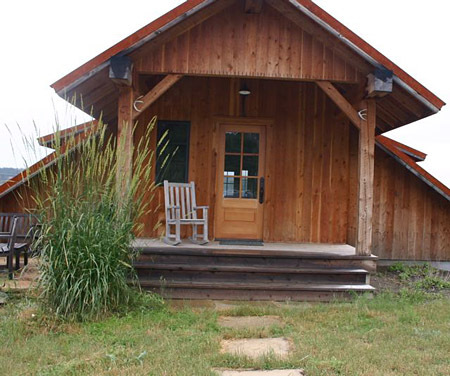 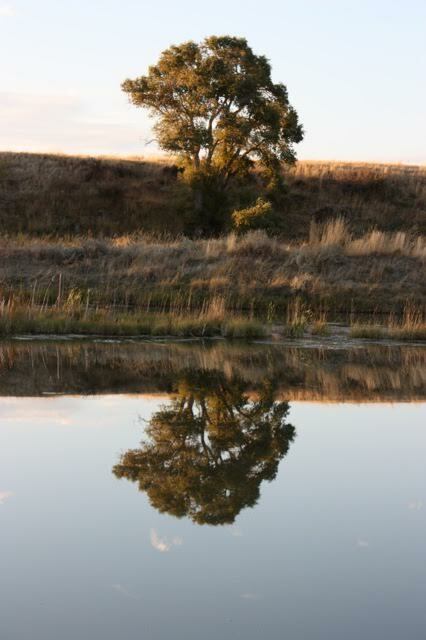 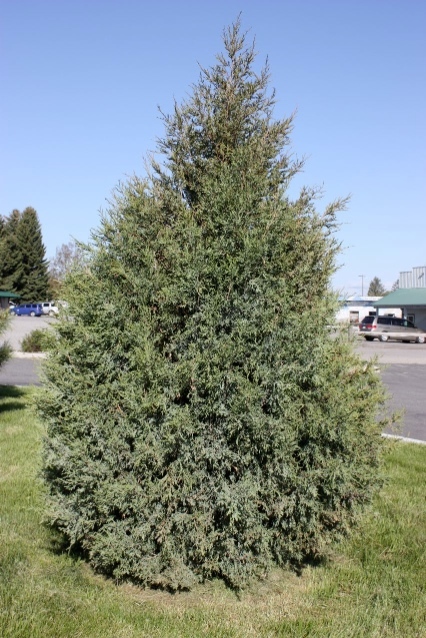 We love its natural, open form, a pleasing contrast to the formal, nonnative Colorado Spruce. 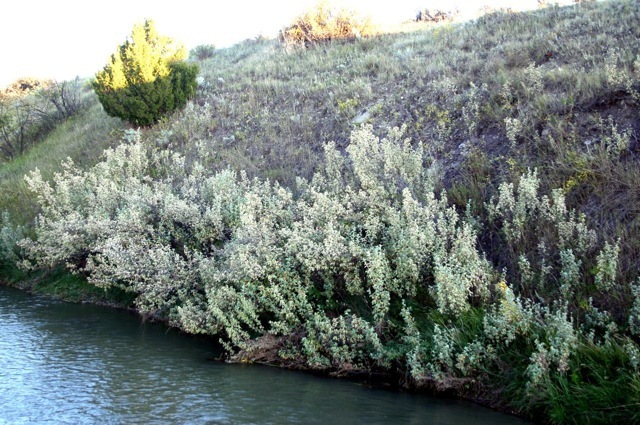 Birds also fancy Ponderosas for nesting and feeding. 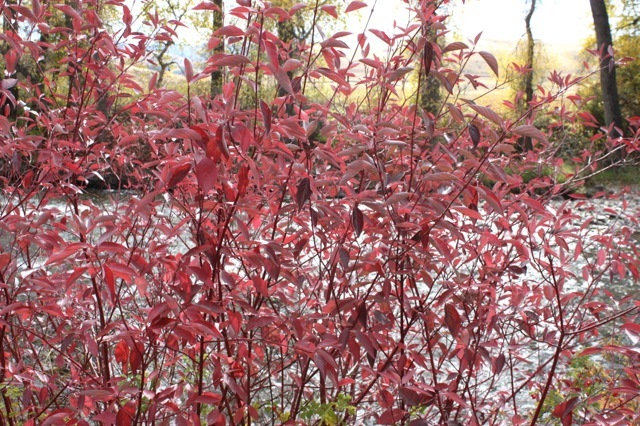 Trilobe Sumac, Rhus trilobata: Sometimes unflatteringly called “Skunkbush Sumac”, because of its supposedly stinky leaves when crushed, we have never encountered anything unpleasant about this tough shrub. 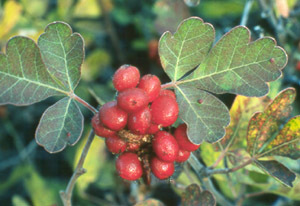 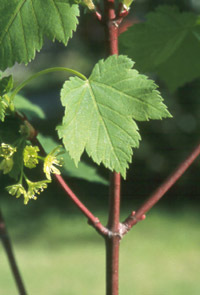 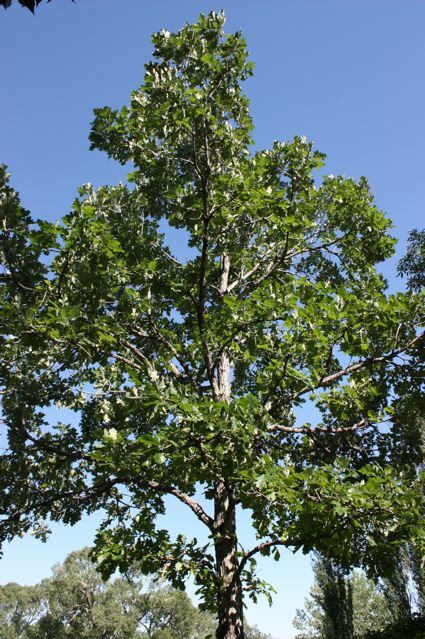 We appreciate its compound leaves with three oak-like leaflets, red-orange-yellow fall foliage, and cheery clusters of red berries albeit unpalatable to humans. 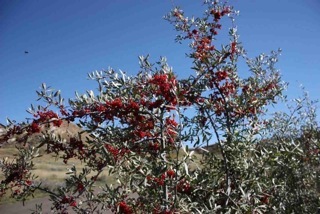 This Sumac can form dense thickets where birds and mammals find cover for nesting and shelter. 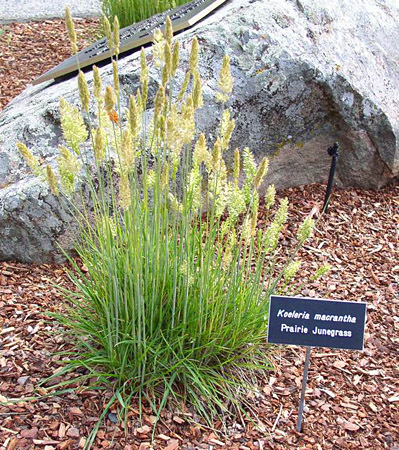 As if that’s not enough, this drought tolerant plant is commonly used for soil stabilization thanks to its tenacious, spreading roots. 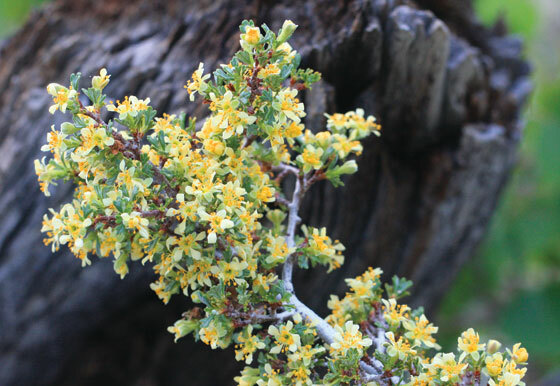 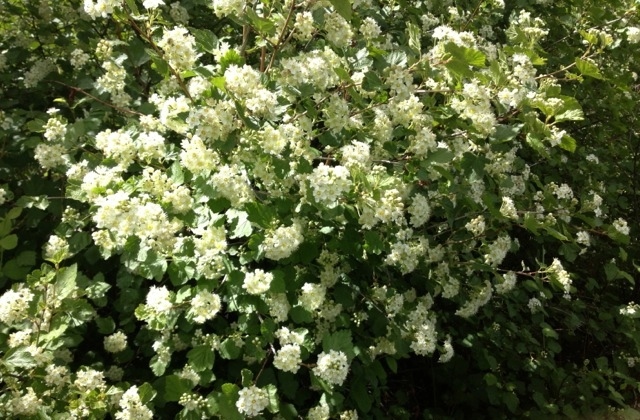 Wax Currant, Ribes cereum: Also known as Squaw Currant, a compact, rounded, rather humble 3' tall plant that's a treasure of Montana’s native landscape. 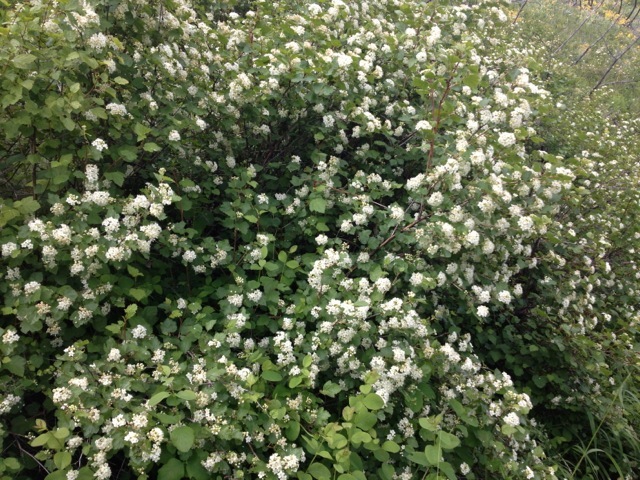 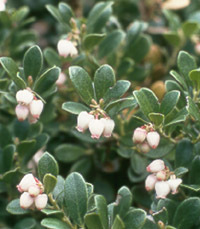 It's easy to identify by its greenish-white to pink, tubular flowers and unpalatable red berries best left for the birds! 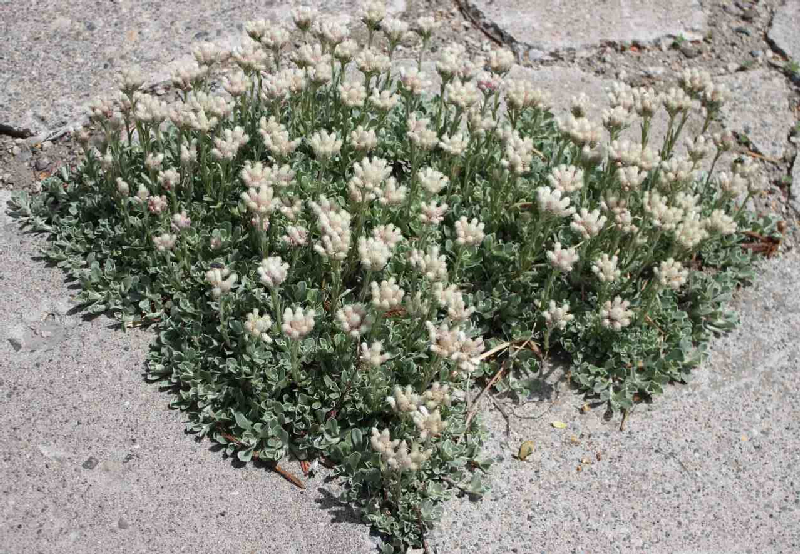 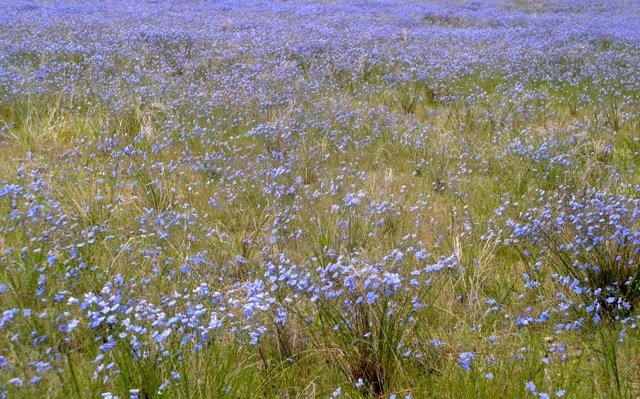 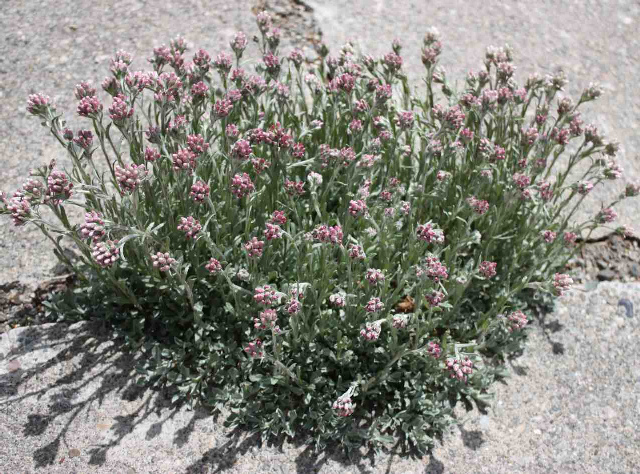 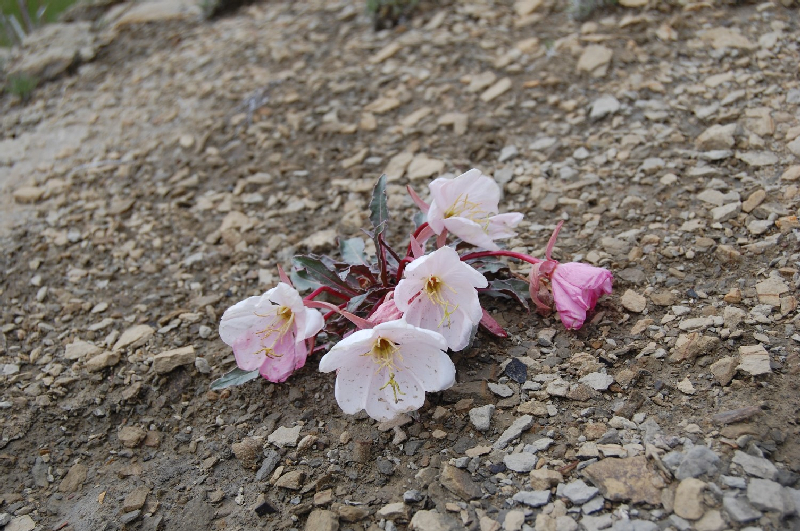 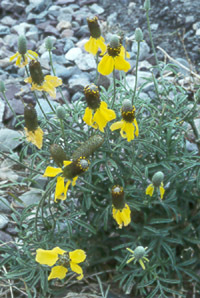 In the wild it's found in dry, rocky sites....an ideal Xeriscape plant. 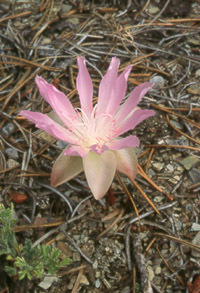 For more information on plants native to our region, an excellent source is books by H. Wayne Phillips, author of Plants of the Lewis and Clark Expedition (2003), Central Rocky Mountain Wildflowers (2012), Northern Rocky Mountain Wildflowers (2012), and The Wildflowers of Yellowstone and the Rockies Postcard Book (2003). 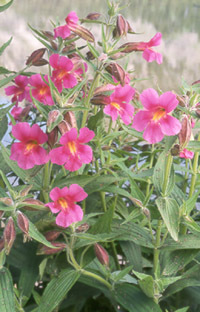 All are available from Amazon. 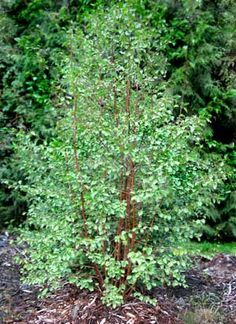 Betula occidentalis	 Water Birch stream courses; moist sites 20-25' multi-stem; shiny cinnamon-red bark; leaves yellow to orange-red in fall; a Blake Nursery favorite! 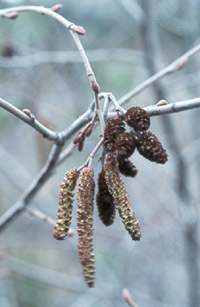 open crown; ascending branches; retains attractive catkins on branches into winter; a Blake Nursery favorite! 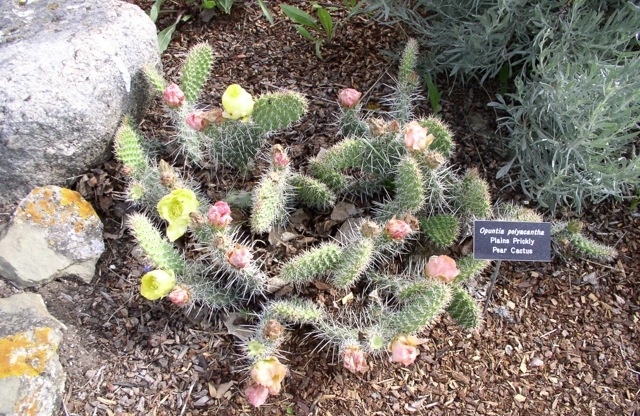 Coryphantha vivipara	 Pincushion Cactus	 dry areas 1-2"
Opuntia polyacantha	 Prickly Pear Cactus	 dry areas 4-12"
We also carry a custom wildflower seed mix, which is adapted to Montana growing conditions. 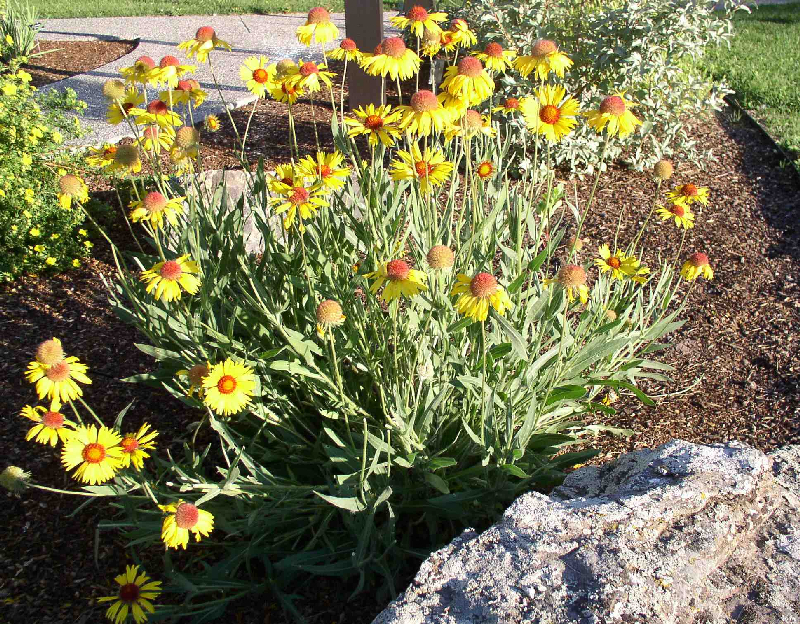 Below is a native plant display garden planted at the Big Horn County Historical Museum in Hardin, Montana. 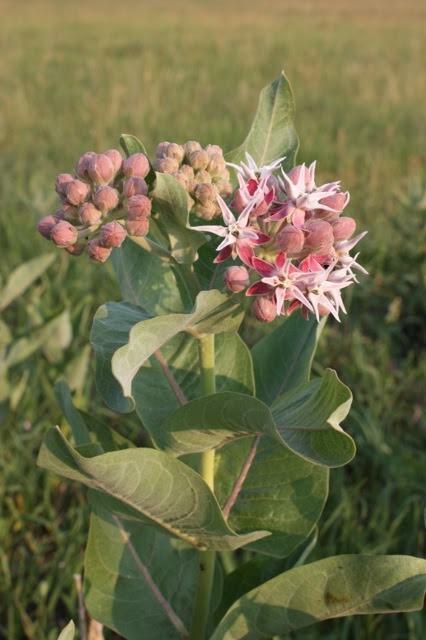 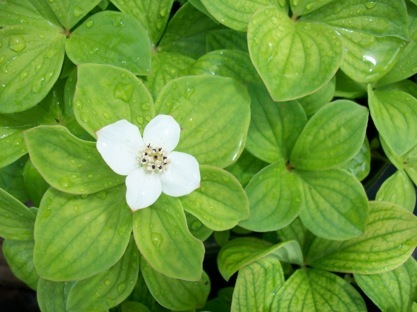 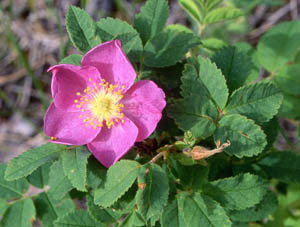 The focus was on using native plants with a significant historical use, mainly for food and medicine. 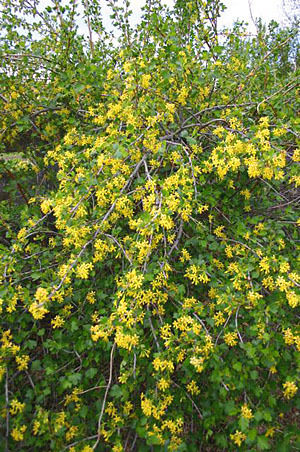 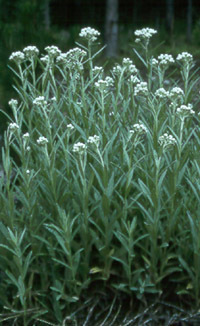 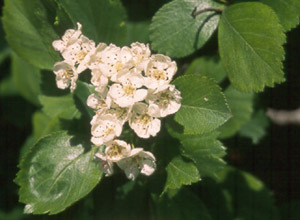 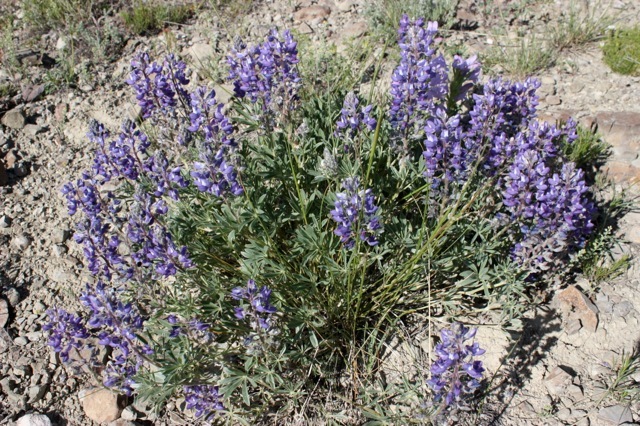 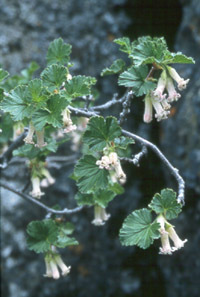 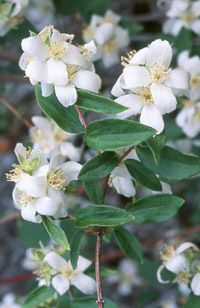 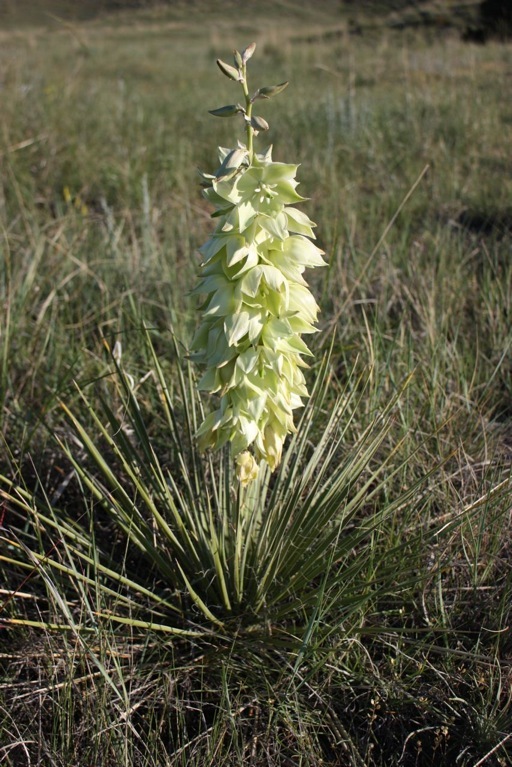 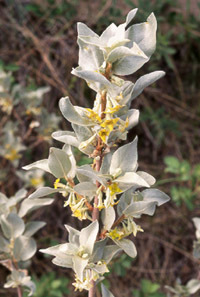 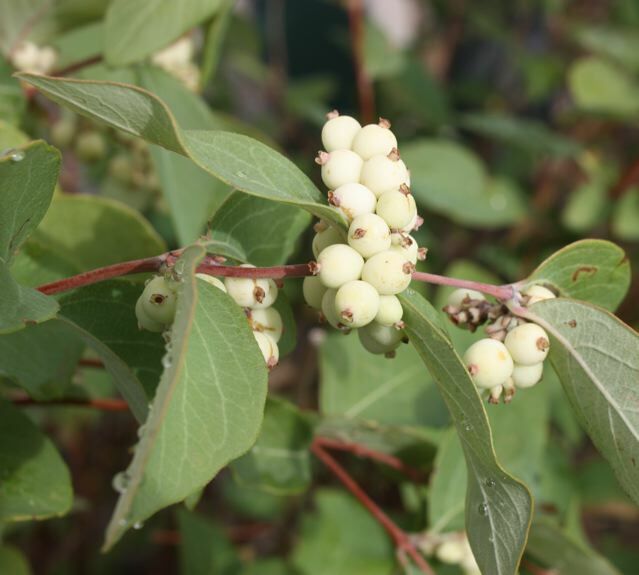 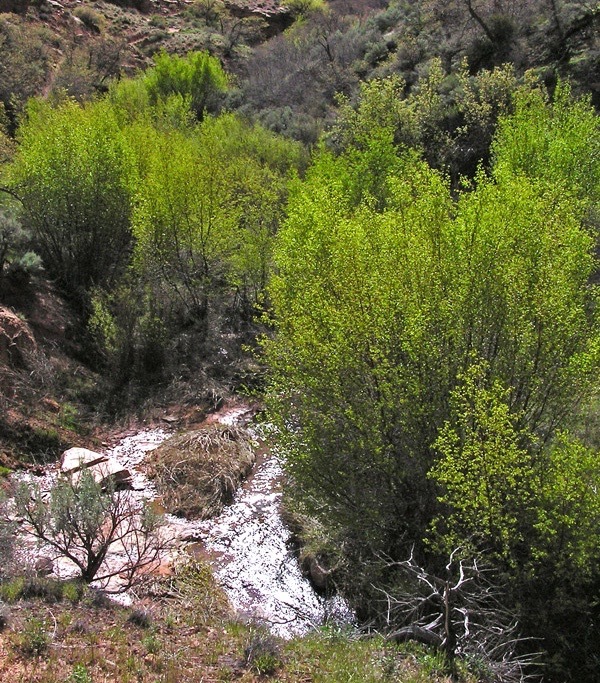 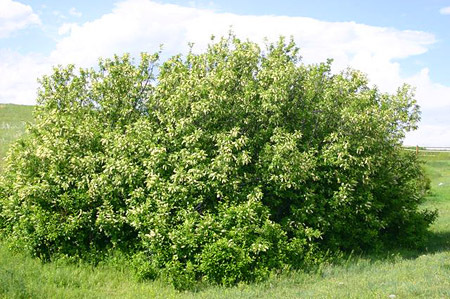 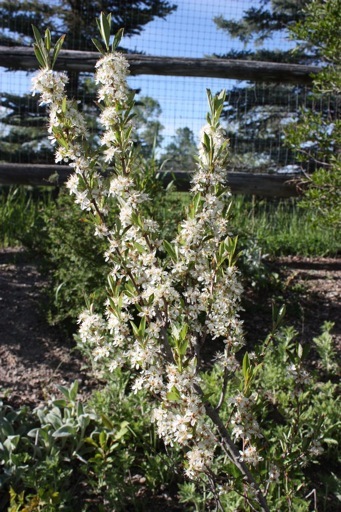 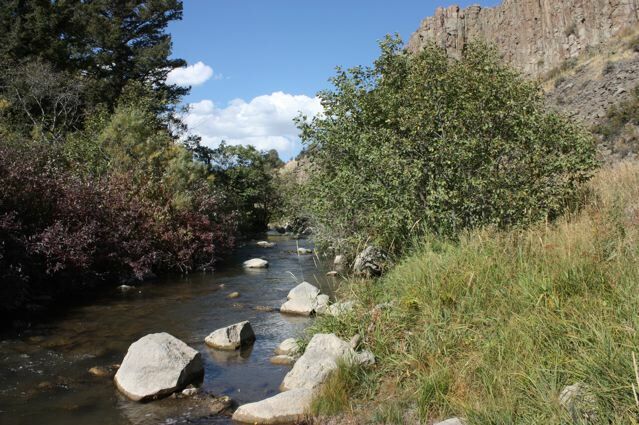 Some plant species selected were Silver Buffaloberry, Golden Currant, Narrowleaf Coneflower, and Bitterroot.